Monday - Saturday: 8:00 a.m. - 9:00 p.m.
Sunday: 1:00 p.m. - 9:00 p.m.
Buying a new home is one the largest investments you'll make in your lifetime. While having property that’s all your own is exciting, it can be a lot to monitor. 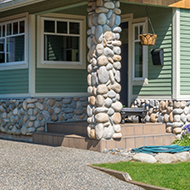 Even if a house appears to be just what you're looking for, it could be riddled with defects that could cost you in the future. Before you decide to buy, call Custom Home Inspections, LLC for a full report and detailed home inspections in Maple Grove, MN. 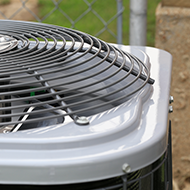 At your request, we’ll perform comprehensive reviews of the property, heating system, cooling system, and all other major systems to ensure it’s a safe investment. Best of all, our comprehensive home inspections are often schedule within 24 hours of your request. Rex Kulla, owner and operator, is a certified home inspector with supplemental experience working with HVAC systems and project engineering. Mr. Kulla understands the importance of being there for our clients and making the entire home maintenance inspection process as stress-free as possible. Over the years, he has developed a positive reputation and continues to impress clients and real estate agents alike. The last thing you need is for a defective home unit or harmful pollutant to put your comfort and safety at risk. Trust our home maintenance inspection team to provide you with a comprehensive property inspection that will give you a clear look that the safety and solidity of your structure. When you turn to our InterNACHI-certified inspectors, we’ll gather accurate measurements of your home systems to give you a complete picture of the health and functionality of your structure overall. 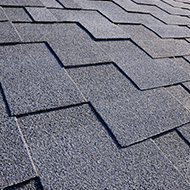 From the foundation to the roof, we consider no major or minor home system too big or too small to evaluate. Whether you’re looking for a heating system inspection or plumbing inspection, or something else entirely, we can meet your needs. 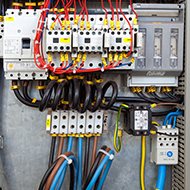 Our extensive reports run anywhere from 30 to 50 pages featuring system-by-system inspections of every area of your home. Please note that our detailed home inspections are not to be considered a warranty. 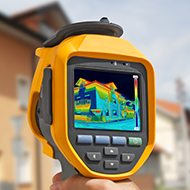 Moreover, while our evaluations cannot detect every flaw, it will give you the best possible look at every area of your home with which you should be concerned. Reach out to our team to schedule a comprehensive property inspection as soon as possible. Contact our property inspectors to determine which areas of your home need maintenance or repairs. 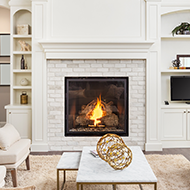 We proudly serve homeowners in Maple Grove, Minneapolis, Monticello, Deephaven, St. Paul, Minnesota, as well as all throughout the Twin Cities Metropolitan area.